Local people were able to attend a most enjoyable concert at Acocks Green Library on 12th November, under the title of “Swansong” which is a regular theme throughout the season. These are organised through the library and commence at 7.30pm, with entry by free ticket which is available from the library, but with an opportunity to make a personal donation at the end of the programme. 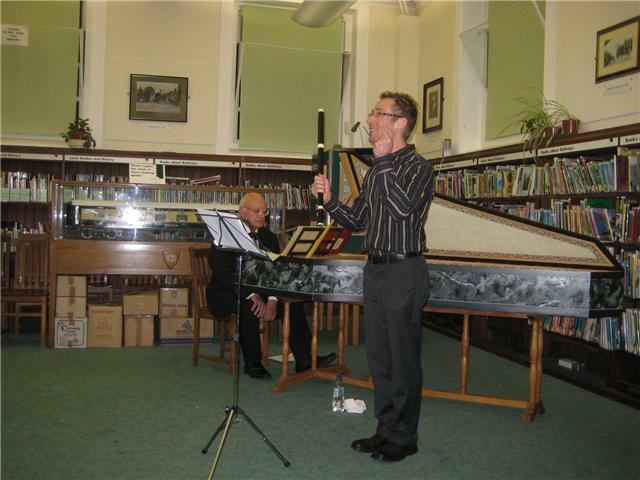 The November event was an evening with Alan Cuckston (harpsichord) and Martyn Shaw (baroque flute). Both musicians gave a marvellous performance of this Baroque music and a good rendition of this period music. 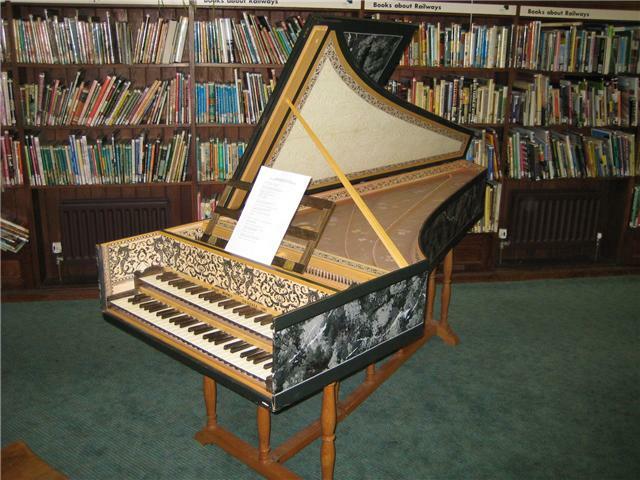 Alan Cuckson`s Harpsichord was built in 1981 by John Rooks of Ticknall, Derbyshire. It is based on an original of 1638 by the Flemish maker Andreas Ruckers, now in the Edinburgh University Collection. This entry was posted in Events and tagged Acocks Green, flute, handel, harpsichord, library, musical, Swansong. Bookmark the permalink.